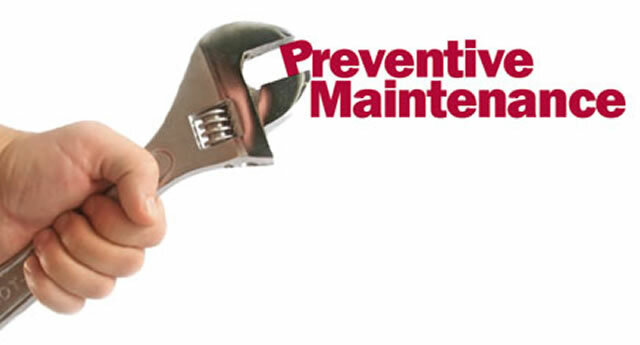 Your Preventive Maintenance Contract provides you with guaranteed appointments and other free and discounted services. This maintenance contract is for 2 annual inspections of your Air Conditioning and Heating system. This allows for minor issues to be diagnosed and resolved before they can cause a problem during extreme weather, especially in Myrtle Beach. Periodic inspection of your heating and air conditioning system will ensure safe and reliable operation, help maintain the life of the system and keep energy costs manageable. Hardings AC will perform these heating and air conditioning services during normal working hours (Monday – Friday 8:00 a.m. – 5:00 p.m.). Hardings AC provides an emergency answering service that operates 24 hours a day. If other AC or Heating repairs are needed between regular visits, you will be billed at a rate less your "PREFERRED CUSTOMER" discount. Preventive maintenance plans consist of 2 annual inspections of your Air Conditioning and Heating system in the Myrtle Beach area. Performance Guarantee qualification details: All AC AND HEATING repairs noted by a Hardings AC service technician during service but declined by customer do not qualify. Should the system being serviced fail within thirty days of that service for a reason we did not document, you are not charged the labor to make the repair Hardings AC will repair the AC unit and waive the labor charges and AC diagnostic fees. Non wearable parts, ( AC compressors, AC fan motors, AC evaporator coils and AC condersor coils and any other AC parts related to your specific AC system) are aways the responsiblity of the home owner unless covered by AC manufacture warranty. The Performance Guarantee is not valid on heating and air conditioning systems that are 10 years or older. We are committed to keeping your heating and air conditioning systems in optimal shape year-round. It doesn't matter what type of HVAC services you need, we have the skills and experience to fix your issues right away. No job is too big or too small for us to handle! . We have a professional team of HVAC repair technicians to address all of your concerns, whether it is AC or Heating problem. We do everything in our power to ensure that your HVAC systems are operating correctly at all times. How does the air conditioning maintenance agreement improve the health of my air conditioning/heating system and my pocketbook? Two annual check–ups of your heating and cooling system allow for minor issues to be diagnosed and resolved before they can cause a problem during extreme weather. Our Performance Guarantee. Once we've turned–up your heating / cooling system, you can rest assured for thirty days. Should it fail for a reason we missed, you won't be charged a cent for labor. You receive a discount for repairs. Over time, this deduction will most likely pay for the cost of purchasing the agreement. Plus you will never pay overtime charges for an air conditioner or heating system breakdown after hours. You save on system replacement. When it's time to replace your air conditioning system, maintenance agreement members receive a 10% discount. Maintenance Agreement Check–Up Scheduling. We'll keep track of your check–ups and contact you to schedule a convenient appointment time. *Exception: If a repair is covered under the manufacturer warranty, that warranty applies.